What’s The Best Cryptocurrency To Mine In 2018? In this article, we’ll look at the best cryptocurrency to mine in 2018. As mining BTC becomes exponentially more expensive and time consuming, most cryptocurrency miners are looking for a Bitcoin alternative. And that’s why I’ve created this guide. You’ll learn the best GPU and CPU cryptocurrencies to mine, along with how I’ve calculated the list. 1. How Do You Know Which Coin Is The Most Profitable To Mine? 1.3. Mining Difficulty Of The Coin. 2. Best GPU Cryptocurrency To Mine 2018. 3. Best CPU Cryptocurrency To Mine 2018. 4. CPU vs GPU Mining. 5. Problems With Cryptocurrency Mining. 6. FAQs About The Best Coins To Mine. 6.1. What Is Cryptocurrency Mining? 6.2. What Is The Best CPU Cryptocurrency To Mine? ​6.3. Is GPU Mining Still Profitable? So when I say I’ve calculated the most profitable coin to mine, it’s simply by looking at a few key factors. This includes mining hardware, electricity costs, mining difficulty and the block reward. Note: If you don’t understand how mining works yet, check out my guide to mining cryptocurrency. Your hardware will be doing the ‘heavy lifting’. When you mine cryptocurrency, you’re solving complicated mathematical algorithms. The more efficient your hardware, the more profitable mining becomes. The hardware you should use really depends on the cryptocurrency you’re going to mine. Some will be more efficient than others. Typically, GPU cards are better for mining but you can still use CPU too. I’ve covered both below. The other thing to note is that some cryptocurrencies are becoming ASIC resistant, which allows more decentralization across the network. This also ensures ‘smaller fish’ can still join the mining community. The hardware involved in mining uses up a lot of electricity. It’s one of the reasons why Proof Of Stake is becoming increasingly popular. Your electricity costs will depend on where you’re based. So grab your electricity bill and work out your price per Kilowatt. 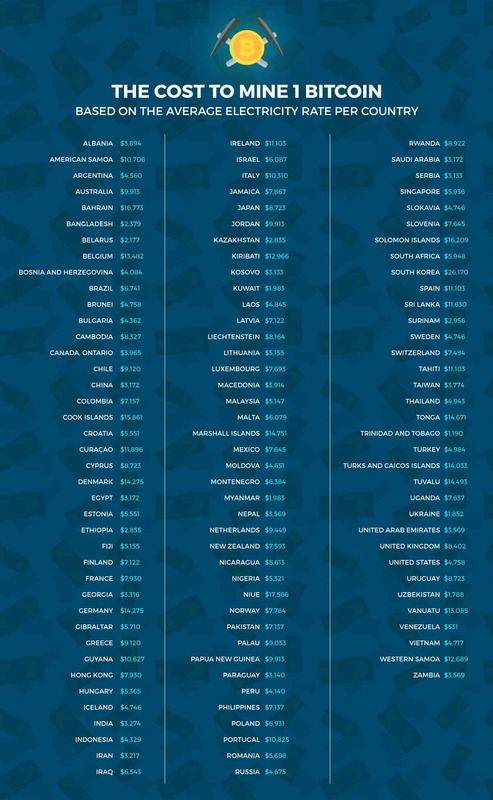 Note: If you’re based in the US for example, your electricity expenses will be much higher. It’s one of the reasons why most Bitcoin miners are located where their electricity costs are cheap such as China. Otherwise it’s going to be a struggle to become profitable. The harder it is to mine a cryptocurrency, the less profitable it becomes in terms of time and costs vs reward. This varies from coin to coin. It also depends how established the coin is, as mining times often rise the more a coin is mined. Remember that mathematical algorithm I was talking about earlier? Everytime you solve it, you’re rewarded with a token on the blockchain. So the faster your hardware can solve these calculations, the more rewards you will receive. I’ve also analysed the key differences between CPU and GPU mining for those of you not sure how they compare. OK that’s enough small talk, let’s get into it. Note: There are many risks to mining cryptocurrency that you should be aware of before you get started. I’ve covered each of these later in this article. Whilst ASIC mining is becoming more popular, GPU (Graphics Processing Unit) is still a profitable option. However, the profitability of mining is heavily dependant on efficiency. So the more powerful your GPU is, the more profitable mining becomes. Now let’s look at some GPU mineable coins. Ethereum is one of the best coins to mine in 2018 because it has such promising potential as a coin. As a platform for developing Decentralized Apps, Ethereum is now the most popular ICO platform in the world. You can buy pre-built Ethereum mining rigs online, but it’s more efficient and cost-effective to build your own. So is mining Ethereum worth it? You can mine ETH with a GPU, as it uses the ETHash mining language. 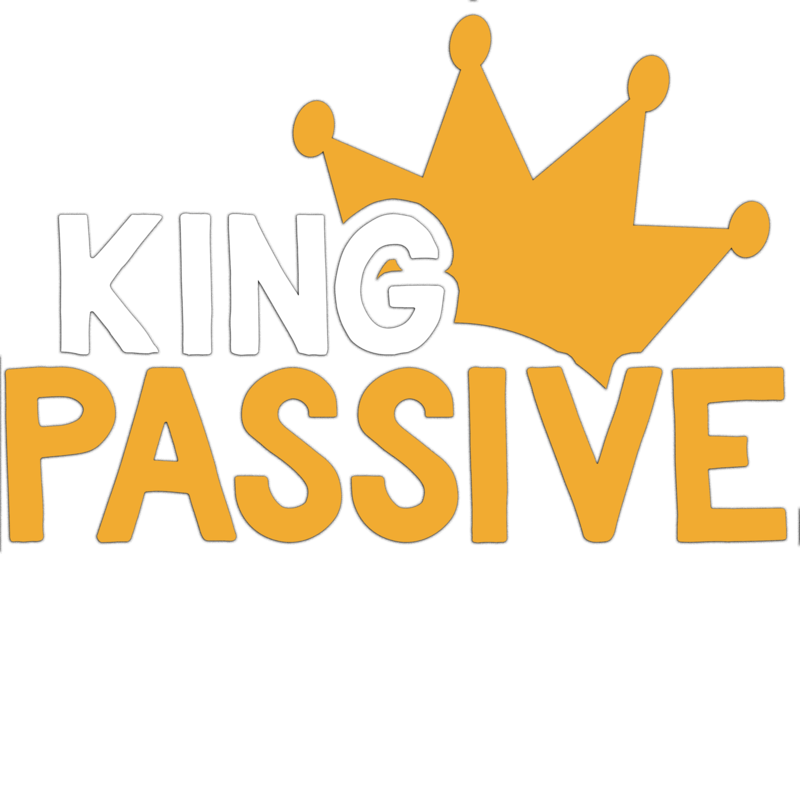 It’s a promising coin with a lot of potential - and more established than the rest of the market. If you look at Ethereum over the last few years, it’s increase in value has been exponential. If you believe in the future potential of Ethereum, then it’s not a bad idea to mine and hold it. You can build your own Ethereum mining rig fairly easily. There’s no dedicated GPU chips released for ETH. It’s very energy intensive - you’ll need to keep your hardware cool. It’s quite loud to mine (meaning your housemates might not be happy). Due to Ethereum’s popularity, there’s a lot more competition. Subsequently, mining difficulty is increasing. Ethereum will eventually transition to Proof of Stake mining. Monero is one of the most popular privacy coins. I actually listed Monero in my top 15 altcoins to watch because of its future potential. It’s designed to make transactions completely anonymous and untraceable, so that users can protect their identify when it comes to online spending. Is Monero the best coin to GPU mine? Well, it’s popularity has certainly increased. Monero is currently trending as one of the most popular mining options on whattomine.com. 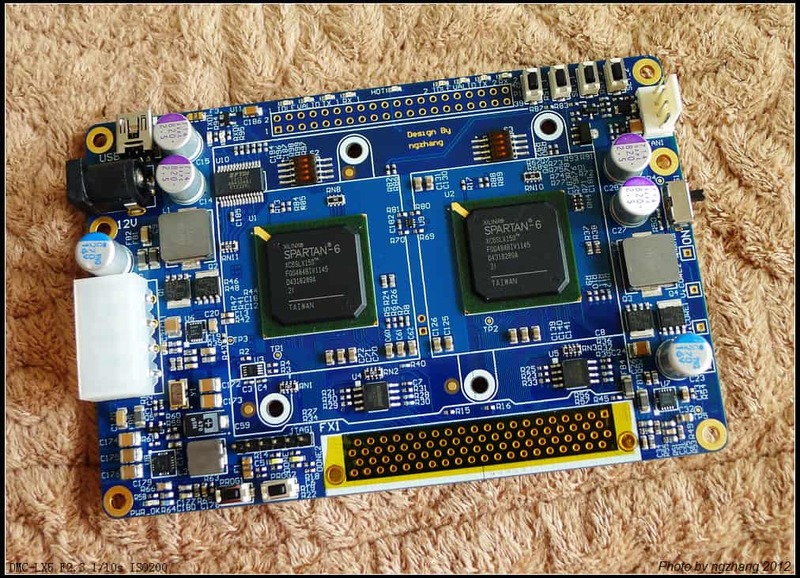 XMR’s profitability was boosted since they removed functionality for ASIC chips. So why is Monero fighting back against ASICs? Mainly because they want XMR mining to remain decentralized. This protects against 51% attacks (where miners can manipulate a cryptocurrency’s blockchain by pooling together their resources). It’s fairly simple to setup a Monero wallet/mining rig. Monero’s mining profitability has increased since becoming resistant to purpose built ASIC chips. This has also reduced it’s overall mining difficulty and competition. The team behind XMR is fighting to keep Monero mining decentralized, protecting against network attacks. You can manage your Monero wallet via your mobile, which is pretty convenient. You don’t believe in the cryptocurrency’s future potential. Whilst XMR’s mining profitability has increased, it’s still nowhere near the ‘good old days’ of what mining Monero used to be (profitability was around 25% higher). Because mining Monero is now more profitable compared to the past few months, more miners are going to make the switch to XMR. Obviously, that creates more competition and it will become less and less rewarding to mine. There’s a lot of hype around BTCP. Whenever that happens with cryptocurrency, I feel a little skeptical. But despite that, it has a lot potential for mining profitability. Because BTCP has taken some of the best elements of Bitcoin, made it much faster (in terms of transaction speeds) and then combined this with Zclassic’s privacy features. So why do I think Bitcoin Private is the best coin to mine with a GPU? The coin combines unique features of both Bitcoin and Zclassic, and therefore it’s speed/privacy features are valuable in terms of future potential. There are plenty of BTCP mining pools to choose from for this coin, which means you can pool you resources together to increase your chances of earning more mining rewards in less time. As a relatively new coin, you’re taking a risk in mining Bitcoin Private. Bitcoin Private is yet another privacy coin. There’s already a ton of privacy coins, yet only a few will survive in the long run. There’s no hardware wallet support for this coin (yet). As a miner, you shouldn’t keep your coins online because they’re vulnerable to hacks. If you’re new to mining, then you may not be keen on the idea of splashing out on an expensive GPU or ASIC chip. If that sounds like you, then a CPU (Central Processing Unit) might be what you’re looking for. So next we’ll analyse some CPU mineable coins - but first here’s why CPU mining is beneficial. What I like about CPU mining is that it deters centralization. The problem with mining cryptocurrencies is that pre-designed ASIC miners can come in, monopolise the blockchain’s rewards and this essentially stops anyone else from competing. CPUs could originally mine Bitcoin, but now Bitcoin mining is almost exclusive to a few enterprises with huge mining rigs. Well, this means more centralization - because only a few mining companies can realistically compete for mining rewards. Everyone else is kind of pushed out. And more centralization kind of defeats the benefits of cryptocurrencies. However, when it comes to CPU mining, your choices are limited. So here’s my top 3 for 2018. The problem with most mining algorithms is that usually, everyday laptops can’t compete with the powerful hardware of ASIC miners. This level of exclusivity creates problems with centralization and leaves the network open to vulnerabilities like a 51% attack. However, Bytecoin was the first cryptocurrency to join Cryptonote’s algorithm way back in 2012. Cryptonote basically splits up the mining network evenly between CPUs and GPUs - basically allowing almost anyone to join the mining process. Plus, it helps to grow the community. The more people that can mine Bytecoin, the better as this increases the coin’s overall adoption and decentralizes the network. Bytecoin’s ranked in the top 30 by coin market capitalisation - and as far as cryptocurrency goes, it’s already fairly established. Bytecoin is probably the easiest coin to mine. Once you’ve setup the software, you simply click a button and start mining. It’s pretty simple to setup, so you just install the software to your laptop. This is great for beginners. You have the option between pool mining and solo mining BCN. Bytecoin’s pool mining options come with 0% fees if you use Bytecoin.uk or Bytecoin.party. However, pool mining is a little more complex to setup than solo mining. Because solo mining Bytecoin is so easy, it’s community is growing at a decent rate. Bytecoin has existed since 2012 and there’s never been any problems with its mining network. So in comparison to newer coins, Bytecoin’s experience is a good indicator of its solidity as a project. It takes a while to setup the mining software for Bytecoin - typically around 24 hours to synchronise with the network. The use case of Bytecoin isn’t groundbreaking, which is something you have to think about as a miner. BCN doesn’t have the growth potential of altcoins such as Monero or Ethereum. 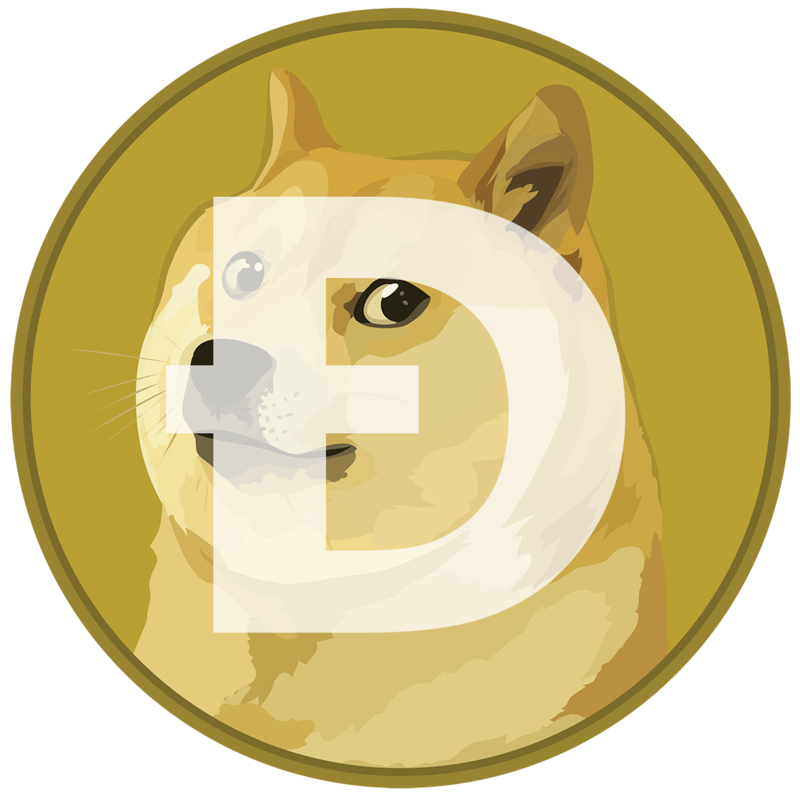 Dogecoin started out as meme but quickly gained popularity, becoming one of the largest cryptocurrency communities in the world. The Dogecoin blockchain has a lot of volume. In fact, there will be 100 billion Dogecoins mined in total, which is why it’s value per coin is so low. So is Dogecoin the best coin to mine with CPU? Vertcoin’s concept is similar to Bitcoin and Litecoin. However, with the rising centralization of Bitcoin’s network, Vertcoin designed an algorithm that allows more distribution across their blockchain. It’s ASIC resistant - meaning more decentralization and distributed governance. So what are the benefits of mining Vertcoin? Vertcoin is probably the easiest coin to mine with it’s ‘one click miner’ software. It’s mining network combines 5 different algorithms, preventing centralization. Vertcoin is known as the ‘people’s cryptocurrency’, because it’s designed to prevent ASIC miners coming in and dominating the network. This allows CPU and GPU miners to join the community, allowing a better distribution of coins across the blockchain. CPU mining is gradually becoming less profitable for VTC. Whilst CPU mining works for Vertcoin, GPU mining is still more efficient. As more cryptocurrencies switch to Proof of Stake (such as Ethereum), Proof of Work miners are going to see Vertcoin as an opportunity. This creates more competition on the network and therefore reduces the individual rewards for each miner. As a miner, it’s important to understand the key differences between CPU and GPU mining. You see, mining is all about number crunching. Miners have to solve complex maths problems to be rewarded with a coin. The faster they solve it, the more rewards they receive. And the more a coin is mined, the harder and less rewarding it becomes to mine it again. Overall, mining an intensive process, which involves complex calculations. GPUs are much more powerful processing units compared to CPUs. They are therefore more suited to the process of solving complex mining calculations. But CPU mining isn’t entirely fruitless. Mining cryptocurrencies with a CPU is more suited to newer coins that you’d like to support in their advancement. Coins that are already fairly established will require more intensive calculations. Most CPUs don’t have the processing power to mine cryptocurrencies such as Bitcoin or Ethereum. The power required would be too demanding for a CPU chip. So when you’re trying to find the most profitable coin to mine, there’s a few things you need to take into account. When you’re mining cryptocurrency, the number of coins you’ve mined doesn’t change. However, their value fluctuates everyday. And that’s problematic. For example, one Bitcoin mined will always be one Bitcoin. But your profit is only locked in once you’ve sold it - not when you mine it. And as we all know, cryptocurrency prices are not reliable. The list above is based on today’s value but this could quickly change. A) The coin’s profitability in terms of the hardware you’re using, your electricity costs and the mining difficulty. B) The coin’s future potential - in terms of practicality. This involves researching their team, use case, the problem the altcoin will solve and it’s overall credibility. Because unless you sell your mined coins straight away, you’re betting on a cryptocurrency which may have no future value. It doesn’t matter how profitable a coin is to mine today if the use case of that altcoin is weak. So do your research first folks. Mining cryptocurrency takes time, knowledge and patience. It’s not ideal for beginners. That’s especially true if you’re setting up a rig, which can be time-consuming and expensive. You need hardware, a suitable location, plus the expertise - amongst many other things. It’s important to understand what you’re getting into before you start mining. 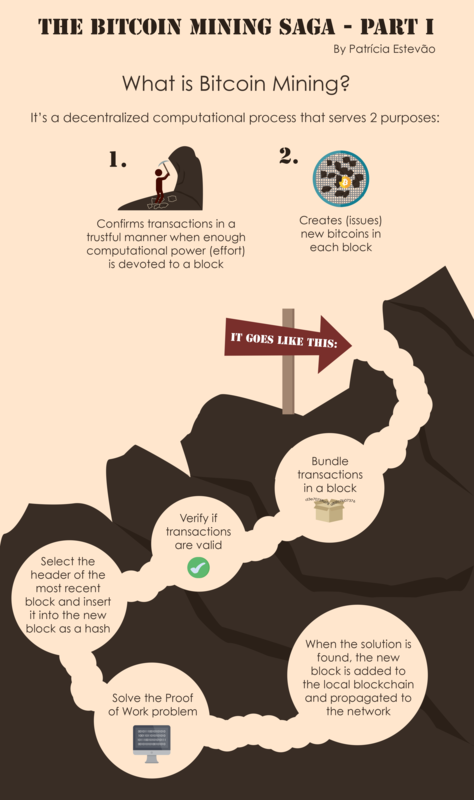 To understand cryptocurrency mining, you need to understand how the blockchain works. Unlike offline currencies, cryptocurrencies are created digitally via the blockchain network. That means the currency can’t be re-printed, instead it has to be mined from the blockchain. In turn, this stops the problem of fiscal inflation often caused by Governments circulating more money. Just like gold or coal, there’s only a limited number of coins in supply for each cryptocurrency. And like offline resources, these cryptocurrencies are mined. For example, there will only ever be 21 million Bitcoins in existence. And that’s where mining comes in. Cryptocurrency mining is a process of solving complex cryptographical formulas, to secure the network and stop theft. However, different cryptocurrencies have different mining algorithms - some more intensive than others. And that’s why you have different types of mining such as GPU, CPU and ASIC. 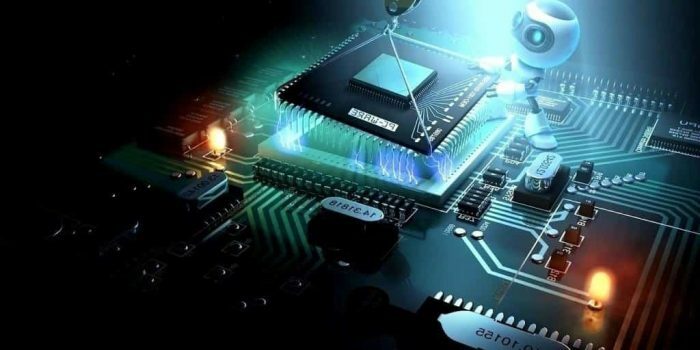 Bytecoin is one of the best cryptocurrencies for CPU mining. You simply install the software on your laptop, wait for it to synchronise with the network and then start mining. Whilst Bytecoin doesn’t have the profit potential of other altcoins, for CPU mining it’s pretty straightforward. I also like Bytecoin’s Cryptonote software, which is designed specifically to encourage decentralization and grow it’s community. However, I’d still recommend doing your own research first before you start mining Bytecoin. Yes, GPU mining is still profitable as long as you pick the right coin (I’ve listed my top 3 above). However, you’ll need to do your research first before you get started. It’s not quite as simple as firing up a GPU and claiming the rewards. Make sure you know your electricity costs. Mining is electricity intensive, so grab your bill and find out how much you’re spending per Kilowatt before you begin mining.